Sidin Vadukut is the author of the best-selling Dork trilogy which takes a satirical dig at corporate life, specifically the management consulting industry. The trilogy comprises of: DORK: The Incredible Adventures of Robin ‘Einstein’ Varghese, God Save The Dork and Who Let The Dork Out? The series has gone into several reprints and even after close to three years of release of the first book, the trilogy is still going strong – a testament to the author’s remarkable story-telling skills and his ability to keep a reading audience hooked to every word. He writes the hugely popular column, Cubiclenama, a humorous take on corporate life and mainstream corporate culture and ambitions for Mint Lounge and is currently the managing editor of Livemint.com. 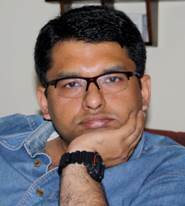 He regularly contributes to various websites including Mint and ESPN CricInfo. Booksoarus caught up with Sidin and chatted about what inspired the DORK series, what it takes to write a satire, the trend of giving up fulltime work to write and the impending release of his new book, The Sceptical Patriot in which he tries to unravel what it means to be Indian. Booksoarus: Readers often look for autobiographical intent in a book. How much of Robin Einstein Varghese’s life and choices are inspired by Sidin Vadukut? Sidin Vadukut: The first book in the series is heavily inspired by my own experiences as a management consultant. And I think it is safe to say that a lot of Robin’s mental voice in that book is quite similar to the voice in my own head. Or atleast to the voice in my head when I was working as a consultant. But after that I think I began to flex my fictional muscles a lot more. So the second and third books are almost entirely made up. You can sense this in the second book, which I think is the weakest of the three. But I got a better hold over this in the third one. So the while the whole trilogy is closely married to my experiences and the experiences of my friends, the intensity of this coreelation waned as the series went on. Though for the third book I spoke to a bunch of guys who worked on the Commonwealth Games in Delhi for inputs and experiences. Booksoarus: What sort of reactions did you get from peers and superiors from your earlier consulting jobs after the release of The DORK trilogy? What sort of expectations did you have before the release of the first book and have they changed for the series? Sidin Vadukut: I never really thought about what they would think. Partly because I knew that most of them already knew they lived in some form of a bizarre office universe that made very little sense. I was a tiny bit afraid of getting sued. Because some of those things really did happen to people. But otherwise I wasn’t particularly bothered about their response. My expectations were that the first book would do well within small communities of people. Bloggers, some MBAs, consultants and so on. And I was hoping most of them would like it. Did I think it would go into several reprints and still be available in bookstores? Absolutely not. That came as a complete surprise. It still surprises me. When you look at it a little closely the series is very context heavy. There are entire parts of it that probably don’t make any sense to a lot of people. But still people read it. I think it is because they somehow identify with, or deeply dislike the main character. I think. It had a certain secular appeal that I never expected it to have. Booksoarus: It is often said that writing a satire stems out of being disillusioned about a system, a process. Was the satirical intent of Dork planned or did the writing process lead you to what Dork eveutually turned out to be? – a dig at corporate ambitions and the effect of mainstream corporate life on personal life? Sidin Vadukut: I personally find that the best satire and comedy is rooted in deep personal misfortune, sadness and disappointment. This has always been true for me. And I have heard many other… satirists and humourists say this. Dork emerged from my experience of the corporate world. I found it a bizarre, sad, unfulfilling, petty place that masquerades as some kind of haven for meritocracy and striving. Booksoarus: What you’ve studied and what you are currently doing are entirely different. There are more and more people who are making these shifts in their careers. In your opinion, why do you think this is happenning? Do you think that it is a good trend? Sidin Vadukut: This is a fantastic trend. I’ve written about this in some of my columns for the Mint newspaper. I think it is good for people and their communities if they actually pursue their own passions. This is where all the good things in life come from. All the great inventions and discoveries and leaps forward in our history as a species have been driven by passionate people… and not by annual appraisal schemes. In India I think more people are taking career risks because in so many ways it has become a society more conducive to taking risks. Slowly, very slowly, we are beginning to judge people by what they do than who they are or what they’ve studied in college or university. And by they I mean investors, employers, venture capitalists… everybody. The risk-reward equations are getting friendlier for risk takers and beaten-path-avoiders. It is only starting to happen. If you told me ten years ago that India would have a stand-up comedy scene I would have choked on my laughter and died. All good things. Very heartening. We have very smart young people in this country who are petrified of listening to the voice in their heads. They should do more of this. Booksoarus: There seem to be a large number of books written by the authors from premier B-Schools and the books too are marketed that way. Do readers / publishers prefer authors from good educational backgrounds when they sample such books? Sidin Vadukut: Not any more, I think. There was a time, just after Chetan Bhagat’s first book, that this was a good way of getting both published and read. That has changed. There still seems to be a booming market for young writers and simple fictions. But the MBA-hook has vanished. Booksoarus: What prompted you to pursue writing full-time? Tell us a little bit about your journey as a writer. Sidin Vadukut: I started writing at a very young age. Largely because I started reading at a very young age. I grew up in an NRI Malayali family in the middle east and we actually didn’t have a lot of money to spend on toys and games and things. But books we could always borrow or buy. So I read a lot. I read everything. And I read relentlessly. I even once read a dictionary from front to back. I can still smell the pages in my mind. So I started writing. And I just kept using every stage of life to write more and more. I wrote a lot in engineering college, discovered blogging after that, and then blogged all my way through business school. I always wanted to try writing as a career. To give it a shot. So shortly after business school I decided to quit when I still young and healthy and enthusiastic and capable of grovelling for a job if it all blew up, and started writing columns and articles and what not. And I haven’t looked back. Many people say that this was a very brave thing to do. Not really. I had a really good education and two great degrees to fall back on. The risk was losing two years of earnings. Which I was prepared to take. Booksoarus: Your blog www.whatay.com is extremely popular and has been so even before the Dork series. How did you achieve the kind of reach that the blog currently enjoys and what advice would you give bloggers to increase readership? Sidin Vadukut: I was very lucky. Period. I started blogging at a time then blogging was just beginning to take root and there were more readers than writers. People wanted stuff to read. So I wrote a lot. And got popular mostly thanks to word of mouth. I would vanish without trace if I started right now. In fact… does anybody blog any more? Right now the only way I think a blogger can get viewership is to specialize in something deeply. There is huge potential still, I think, for great blogs on Indian politics, sports and governance. The old days of being a generalist who wrote jokes about anything… is over. 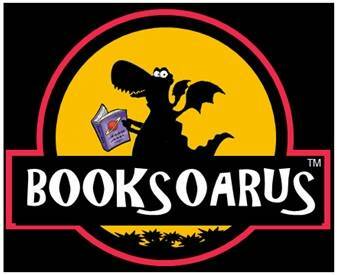 Booksoarus: Was the intended audience for the book the same as your blog, or is the book reaching our to newer readers? Sidin Vadukut: I never consciously did that kind of targeting. But I was hoping blog readers would be the early adopters of my books. And I think they were. But since then the books have had a much broader audience than the blog itself. It is reaching people that the blog never would have. Retired public sector employees seem to be a particularly large consumer base for the book. I have no idea why. Booksoarus: You write both fiction and non-fiction. Which genre do you prefer writing in? Sidin Vadukut: Both actually. I’ve just finished a non-fiction book. And now I am pining to start work on my next one… a crime novel. Book wise I tend to work in waves. Fiction and non-fiction are both exhausting in their own ways. For my latest book I spent two months ploughing through libraries and archives and especially Googles Books scans. It was both exhilarating. But also utterly exhausting. Fiction is exhausting in a different way. I enjoy swinging from one to the other. Though I am also at vastly different stages in both… as an art form, if you will. I’ve written three books of fiction, for what they’re worth. Non-fiction is something I am still getting the hang of. A student. Right now I am sitting and editing the chapters from TSP (The Skeptical Patriot). And I am dying inside. Booksoarus: Where do you get your ideas for your column Cubiclenama? Tell us a bit about the writing process. Sidin Vadukut: Mostly from the news. Sometimes from other stimuli. The process is always simple. I spent the whole week absorbing ideas and bouncing narratives around in my head. Always. There is always a Cubiclenama sub-process whirring away in my mental CPU. Until Thursday morning. On Thursday morning I open up a word processor on my laptop and… just leave it there. It can take an entire day for an inchoate idea to take shape, and expand into 900 words or so worth of readable opinion. I start writing after dinner, usually, and write well into the early morning. The most recent column about sexual harassment took me around five hours to write. Sometimes it takes just a couple of hours. But never less than 90 minutes. I then read it out to the missus if she is around, make some changes and email it out. I am one of those writers who like to get a great first draft down… rather than work and rework the copy over and over again. So most of my turmoil and agony happens during the original writing. Sidin Vadukut: Good question. Increasingly I think being Indian has become more about shared historical experience than anything else. It certainly doesn’t have anything to do with political boundaries, food, culture and all that. Those are all manifestations of this shared historical experience, I think. But the idea of being Indian has everything to do with overlapping histories. Imagine, if you will that each little community in India is represented as a little circle of culture and identity on a Venn Diagram. And we draw all of these thousands of little circles and looked for overlapping regions. The regions where extensive overlap occurs is, perhaps, the fundamentals of our Indian identity: pre-independence history, Gandhi, Cricket, a particular relationship with the state, spicy food. So in a sense this is a culture of commonalities. Indian culture, I think has always been one of commonalities that diffuse and ebb and flow. Which is why I think the colonial experience is perhaps the glue that currently binds this experience together. The problem facing us now is that we are failing at creating a new, more modern sense of what it means to be Indian. For this we must create new commonalities that we can be proud of. Why do people get so excited about Cricket World Cups, or Tendulkar or Mangalyaan? Because they appear to be commonalities, however brief, that we can all celebrate. What we forget is every challenge ahead of is a potential for a new, positive commonality. Bad cities? Let us clean them up. Bad transport? Let us overhaul the railways. Women unsafe? Revamp a law and order system that is currently our worst commonality. But the political scenario is such that nobody wants to create new commonalities because their existence is rooted in old ones. So they perpetuate old ones, convince citizens that old commonalities are paramount and new ones are bogus, and keep us anchored in a rigid, unfriendly notion of being Indian that is well past its sell by date. The book comes out in January-ish. Booksoarus: What advice would you give our readers – aspiring writers who nurse large writing ambitions along-side demanding full-time jobs ? Sidin Vadukut: First read a lot. Read everything. Even before you commit a single world to paper, read and read and read. Rewire your brain so that it can process ideas it agrees with and disagrees with. And then when you sit down to write you will find it more pleasurable and more challenging. Great interview! Sidin is one of the most funny commentators on Twitter right now – in an enlightened, witty but super sarcastic kind of way!